Though winter is almost behind us, germs are spreading year-round. Even if you spend your days locked in a school with children, you can avoid a springtime cold or a resurgence of the flu by preparing in advance. Shoring up your immune system is something you can do daily, through proper diet, plenty of sunshine, and a few valuable herbs and vitamins. I will provide 4 immune boosters below. There is no doubt that when your body is healthy, it can fight off illness and infection. This is why people who take care of themselves are rarely out with the common cold. If symptoms do start to show, the issue can be handled quickly with natural remedies. For the most part, however, a healthy lifestyle will make for an automatic win against viruses and bacteria. From regularly exercise, to eating organic food, there are many methods on how to strengthen your immune system. Here are 4 ways to supercharge immunity you can add to the list. Vitamin C is a known immune-booster, but people frequently head straight for the supplements rather than heading to the source: fruits and vegetables. Citrus fruits are an obvious choice for vitamin C. But dark leafy greens and berries are also rich in this crucial vitamin. Kiwi is another excellent choice. Load up with a spinach salad topped with orange slices and dried cranberries. If you do feel a cold or sickness coming on, this is where the higher doses (1,000 mg twice daily, for example) will be highly beneficial. This herb is a go-to for many herbalists as it has numerous health benefits. It’s easy to grow, but you can also find it in teas and supplements in health food stores. 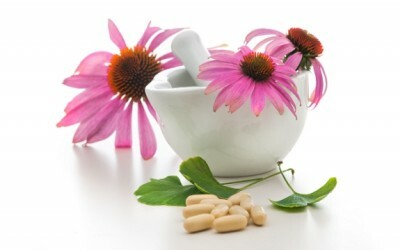 Taking Echinacea at the first sign of illness can shorten the duration and lessen the symptoms of the common cold. Some research found it to lessen the duration of colds by 26%. While getting enough sunshine is the best way to get attain vitamin D, that isn’t always easy in the colder winter months. Supplementing with D3 can help fill in the gaps. This vitamin plays an important role in immune health. Shown to slash flu risk by nearly half even at low doses, vitamin D is currently one of the most recommended supplements for boosting overall wellness. Finally, ditch the antibacterial gels and wipes that you may have grown to depend on. These products have actually been shown to reduce your immune function. Without being exposed to some germs, your body doesn’t have a clue what to do when they are hit with a real illness. Soap and water is plenty to keep your hands clean and the “bugs” at bay. Good and useful article, though the dosage of vit. c is way too low. It’s best to start low, like that, and work up until you get the runs,w hich differs for each person, then back off. Cancer patients often tolerate 50,000mg (IV) and for many of us a dosage close to 10,000 will be very beneficial and tolerable. Add bicarbonate of soda and you can be well on your way to powerful healing. The body immunity power can always be maintained with a healthy diet. If you are taking correct meals with rich in nutrition and fiber and low in fats than your immune power also increases. Supplements are great, but when your system is already run down, simple good nights rest, naps, breathe and stress relief, and ginger lemon tea go a long way.. Echinacea may be a bad idea if taken for too long as it will rev up your immune system. I'm allergic to ragweed and other grasses, so I can't take echinacea since it causes the same reaction. I seldom see this caution attached to endorsements for it. Just an FYI. Echinacea is amazing stuff, as an asthmatic I used to take all sorts of chemical treatments for my problem but after using this little herb I no longer needed those chemicals. I haven't had flu since I started taking it a little over a year ago which is also a great benefit.